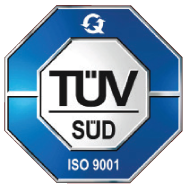 This extensive guidance was developed as a support for entrepreneurs, consultants, auditors, and anyone planning to establish, certify and continually improve a Quality Management System (QMS) according to ISO 9001:2015. 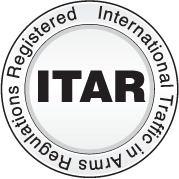 Wrobel Engineering is ITAR (International Traffic in Arms Regulations) Compliant. We are registered with DDTC (Directorate of Defense Trade Controls) and with documented education and training in ITAR regulations. 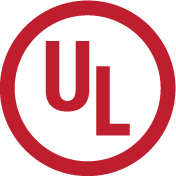 Underwriters Laboratories (UL) has tested representative samples of Wrobel manufactured components and has determined that we meet UL's nationally recognized Standards for Safety. 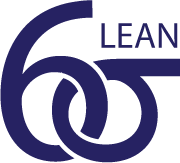 Wrobel practices Six Sigma methods to improve the quality of the output of a our manufacturing and management process. We are committed to continually removing causes of defects and minimizing variability in all aspects of our business. Wrobel has implemented the Production Part Approval Process (PPAP) as a standardized process to help us communicate and approve production designs and processes before, during, and after manufacture.